There are a myriad of miniquad frame options out there, so which is the best one? Which one should you choose? Of course, you can never have just one frame, but whenever you are looking for a frame, these are some things you have to consider. I will also link to some excellent spreadsheets compiled by a redditor that compare available frames side by side so you can make an informed buying decision to for your racing quadcopter frame. Perhaps the most important thing to consider before deciding on an fpv miniquad frame is propeller size. The frame’s wheelbase will determine how large of a propeller the miniquad can support. As far as racing quadcopters are concerned, common propeller sizes are 3″, 4″, 5″, and 6″. Each have their own advantages and disadvantages. 3″ frames are considered to be micro-class. 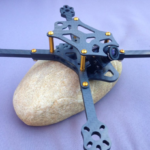 You want to build a 3″ quadcopter if you want to stay under the FAA’s 250 gram exemption. Because they are so light, the frames are nearly indestructible simply because the carbon fiber is too strong and there just wont be enough inertia to do any serious damage. 3″ frames are ridiculously fun to fly, and they can go pretty much anywhere: a small park, your backyard, and if big enough, even your house or your basement. Because the builds are so light, you don’t want to risk flying them too high or in high winds, as they’ll get blown around pretty easily. You’ll also get really nice flight time with 3″ propellers since the motors will be very small and your build will be very light. With a 3″ frame, you could hypothetically lift a GoPro, but at the cost of a lot of performance. If you want to record your flights, you’ll have to stick to a DVR. I’ve actually recently built a 3″ Shrieker, and I wrote about how I chose the frame and components here. 4″ frames are also really cool. They are pretty tiny, as you can fit 4″ propellers on frames with a 180mm wheelbase in an H configuration, and you can even fit them on a 150-160mm wheelbase in an X configuration. 4″ propellers almost perform like 5″ propellers, and in the right configuration, can even outrace a 5″ build. Generally, the smaller prop means more maneuverability in tight spaces and tighter cornering and turns. 4″ frames in the right configuration are more than capable of lifting GoPros. 5″ frames are the sweet spot. Most of the top pilots like Charpu, Skitzo, Steele, FinalGlide, JohnnyFPV, Juz70, T-Bone (to name a few) all fly 5″ propellers in their videos. 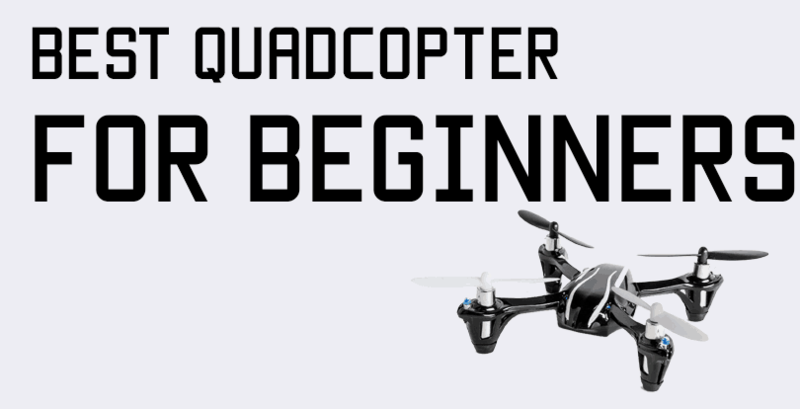 5″ propellers are great for both racing and acrobatic flight. 5″ frames will lift GoPros without a second thought, and are the best size propellers to fly if you want to record your flights. FPV Frenzy has an in-house frame, the Stretch 220. It’s easy to build, strong, and fast. Buy it from Armattan Productions for $53.99 + S&H or read more about it here. 6″ frames are built for speed. The larger propellers give an insane amount of thrust, but you’ll need to make sure you have a battery than can deliver all that current! 6″ propellers will be much more floaty and won’t be as sharp around corners and turns as smaller propellers. 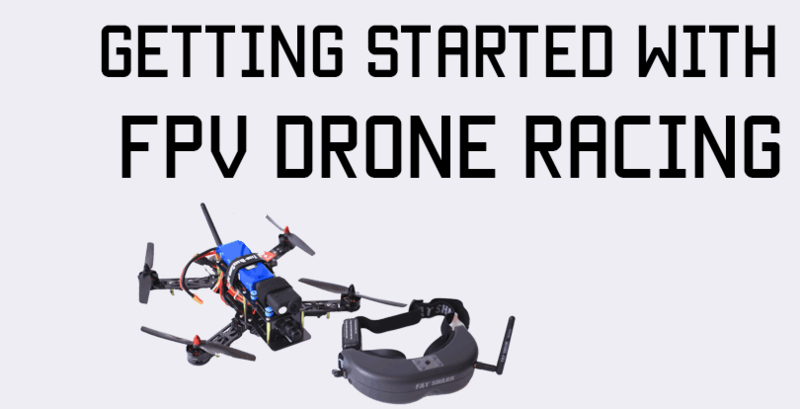 To build a racing quadcopter, the most important thing you have to consider is weight. Lighter frames are more nimble because they have a lot less inertia, so they are able to change directions and accelerate much quicker than heavier frames. Of course your weight will also depend on the components you use, but you can easily shave off 40-50 grams using the right frame. 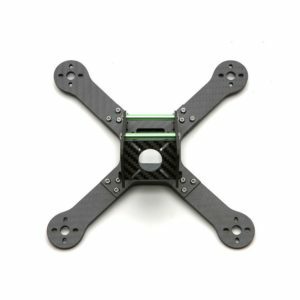 Another thing to consider in a racing quadcopter frame is the profile of the frame itself – how much carbon fiber is on the frame? Frames with thinner arms(like the HyperLite Floss) create less drag, so they are able to go a lot faster. In a racing situation where every second matters, these kinds of frames would perform very well. Ideally, you want a mix of something light and with a thin profile – the light weight will help you change directions and accelerate very quickly, and the thin profile will reduce drag, effectively increasing your speed. Other options such as the Alien FPV frame or the MQC one are excellent frames but they are very heavy and as such more suited to freestyle flying, where you actually capitalize on the inertia of the frame to launch yourself through the air and keep going. Coupled with propeller size is motor size. Certain motor size perform optimally with their particular propellers. As such, when you buy a frame, make sure you see what motors the mounting holes are designed for. For 3″ propellers, the motor size will usually be 11xx or 13xx. 11xx motors will be more docile and suited for 2S or 3S batteries, and 13XX motors will be a lot more powerful and will even be able to run 4S. Recently, there has been a trend towards using 1407 motors on 3 inch, 4 inch, and super light 5 inch frames. Frames that fit 1306 motors will also fit 1407 motors. This is a clip of my Shrieker running 1306 motors, 3040T propellers, and a 4S Bonka 850mah battery. For 4″ propellers, the motor size will be 13xx, 18xx, or 22xx. 4″ propellers are very versatile in that way. Usually, a frame that fits 18xx motors will also be able to fit 13xx motors, but for 22xx motors, you’ll need special, larger mounting holes. The ZMR180 from FPVModel.com comes in two options – one designed for 18xx motors that have a smaller mounting pattern and one designed for 22xx motors that have a larger mounting pattern. For 5″ and 6″ propellers, the motor size will be 18xx(for less thrust) or 22xx(for POWAHH). Mostly all 5″ and 6″ frames have 22xx mounting holes. The old ZMR250s had smaller 18xx holes, but I think the new version has 22xx mounting holes. Note: If you are running 1806 motors for 5 inch props, you’ll feel you need to upgrade in very little time. I had the same experience with my first build, a ZMR250. I very quickly outgrew the performance the 1806 motors were giving, and felt the need to upgrade. As such, if you get 22xx motors from the get-go, you can start with 3S, and as you get better, you only have to upgrade your battery packs, not the motors. Either way, when you buy a frame, make sure it is able to fit the motors you want to use! The thicker the carbon fiber on your frame is, the more rigid and sturdy it will be, but at the cost of added weight. Small, light frames are usually 2 to 2.5 mm thick, whereas larger frames meant for 4″ props and above are anywhere from 3mm to 5mm thick. 4mm of carbon fiber is nearly indestructible(for everyday flying), so you should be OK with that. For a lighter 4″ build, even 3mm should suffice. Bear in mind that the thickest part of the frame is usually going to be the arms, or the bottom plate if it is a unibody frame. The top plate is usually much thinner at 1.5mm to 2mm. This is because the top plate is rarely damaged. 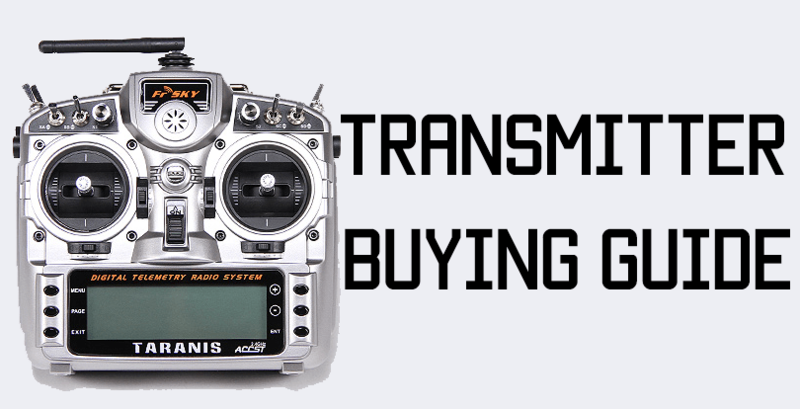 Even most warranties(like the one offered by Armattan) only cover the bottom plate or arms. Some frames have a single bottom plate which consists of the main plate and the arms. This is a really good design(it’s on my ZMR180), allows for very quick assembly, but if you break one arm, you have to replace the entire bottom plate! Another big advantage of a single bottom plate is that there are fewer metal bolts holding the frame together, so you save on a lot of weight. Weight is a very important factor in determining how your miniquad will perform. Generally, the lighter you can make it, the faster and more efficient it will be. After the battery, the frame will be the heaviest part of your build. That being said, I’ve been flying my ZMR180 for 6 months now and have had some really nasty crashes into metal poles and concrete but I have not broken any arms(yet). With separate arms, assembling the frame is a little bit of a pain, but you can very easily replace a single arm in case of a crash and break. There’s been a lot of debate on how flight performance differs between X frames and H frames. H frames are the traditional ZMR 250, ZMR 180, and QAV style frames. There are people who feel that the difference between X and H frames is so big that once you go X, you will instantly become a better pilot. There are two kinds of X frames – center stack and long middle. The center stack frames are very easy to tune because all the weight is concentrated into the center and the motors will all perform the same no matter what angle you look at it from. They will also fly much faster because there is a lot less drag. These X frames are a challenge to build, though. The X frames with a long middle stack are a mix between X and H. Tuning won’t be as straightforward because the weight will be distributed throughout the entire section. Examples are the Alien and ZMR X210. I don’t know if this is as big of an issue for everyone as it is for me, but since it’s something that I feel is important, I have included it here. A lot of the new X frames have very little area on the top of the frame, meaning you have to mount the battery to the bottom of your miniquad. This is very good for racing – it centers pretty much all the mass, and with the reduced drag the X frames have, you’ll get a lot of speed. Your battery may also be the first thing to get damaged in a crash, though. I’d even be wary of hard landings, because the battery doubles as your landing gear! Finally, perhaps the most important factor of them all is BUDGET! How much are you willing to spend on your frame? 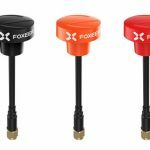 You can find fpv miniquad frames in a wide range of prices, from ultra-cheap on Banggood to super-expensive from ImpulseRC. At the end of the day, it does depend on how much you are willing to spend. As I was researching a 5″ X frame build, I was really tempted to get the Alien 5″, but the $130 price tag was just too high for me. That’s why I settled on the $50 ZMRX210. I am not a big fan of really cheap frames because the quality of the carbon fiber is questionable. My $30 Shen Drones Shrieker was a tad expensive for a micro at $30, but the quality of the carbon fiber is just unmatched. I am sure that would have been the case with the Alien too, but I am pretty happy with FPVModel carbon fiber too. If you have the cash, go for an Armattan or Flynocerous frame because they offer lifetime warranties on their carbon fiber. In those cases, the extra $50 will be justified even if you break the frame just once. Could you please add my creation ? It’s a lightweight frame (48gr of carbon) and the arms can be replace easily and it’s a strecht asymetrical format. Awesome article! 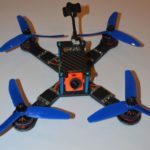 Take a look at the Weaver 5″ V2 Airframe from http://www.weaverfpv.com! Great design, minimal, functional, super strong! And she flies like a dream!